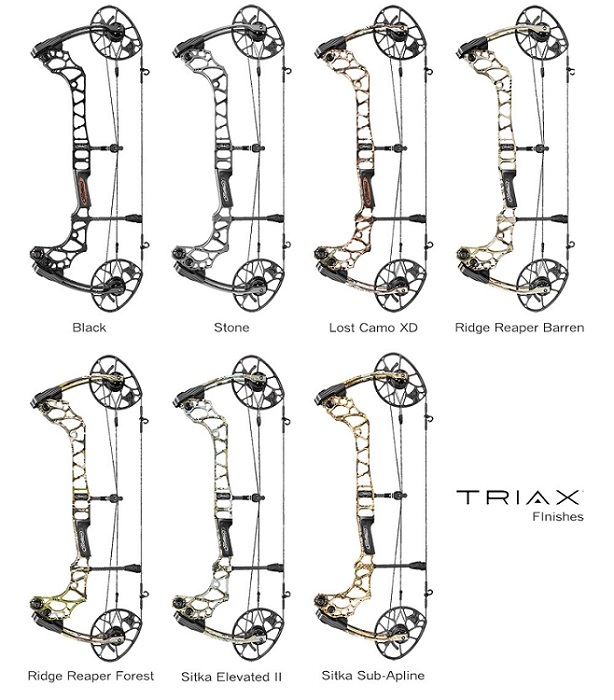 The TRIAX by Mathews is a compact, maneuverable bow that`s deadly accurate and insanely quiet. 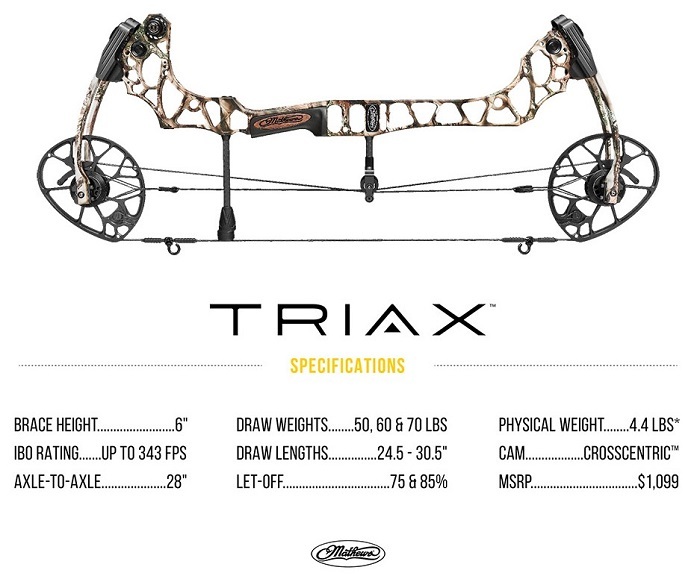 Powered by our award-winning Crosscentric Cam system , and featuring our all-new 3D Damping technology , the TRIAX is built on a 28" ATA platform with a 6" BH and delivers up to 343 feet per second for the ultimate stealth rig. 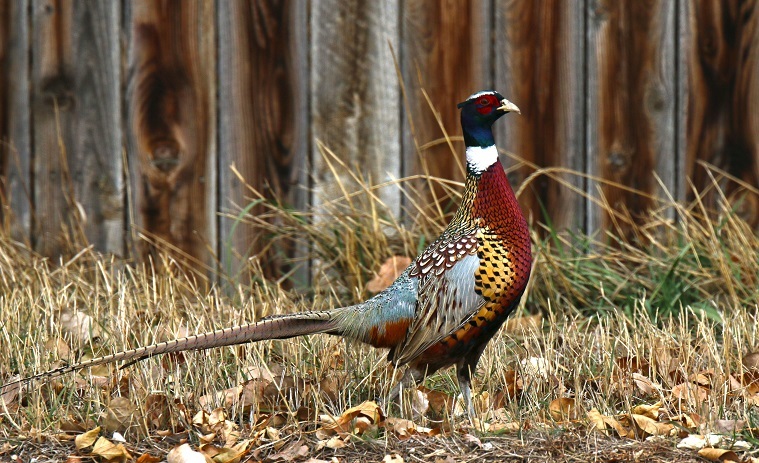 High-efficiency cam system that provides accurate energy with an incredibly smooth draw. The dual bridged riser design is built for more durability. A true center nocking point ensures straight and level nock travel, further enhancing shot-to-shot accuracy. During the draw cycle, AVS technology vectors forces to maintain cam synchronization, enhance energy storage and increase efficiency. The there are three perceived axes of vibration stemming from the point of contact- your grip. The design and location of the new Enhanced Harmonic Stabilizer (EHS) diminishes all three paths of residual vibration, drastically reducing post shot noise and general elimination felt receipt solvent. Finish options available in Optifade Elevated II, Optifade Subalpine, Ridge Reaper Forest, Ridge Reaper Barren, Lost Camo XD, Stone, and Black.